Award your own Sturgis rally winner with our engraved Motorcycle Trophy! This inexpensive gold trophy features a softail design on a piano finish black base. Three lines of FREE custom engraving are included! 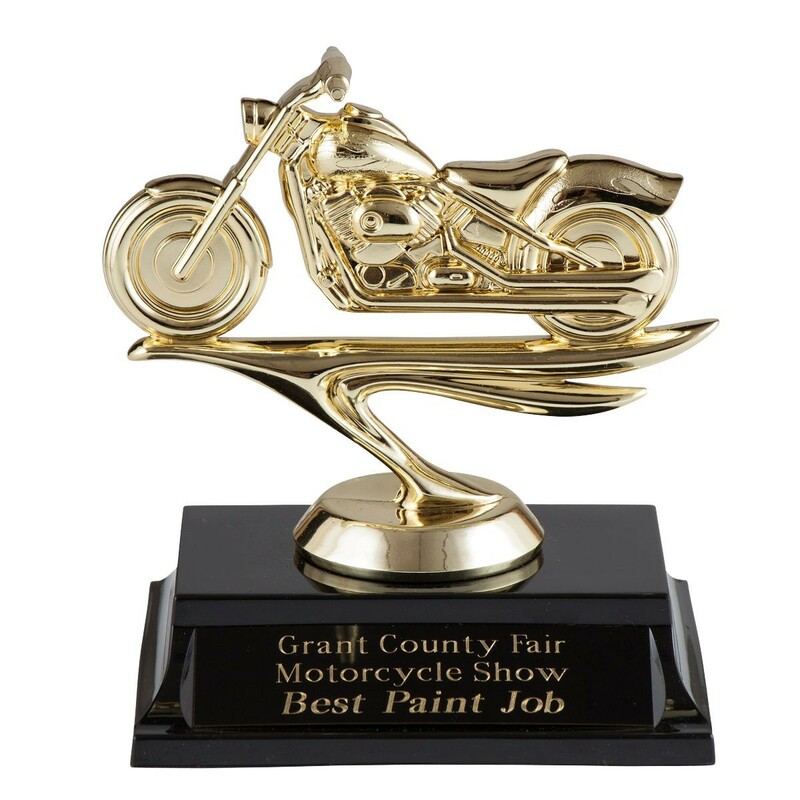 At 5" tall, this motorcycle trophy will be the hit of your next car show, motorcycle rally, or Sunday club ride!